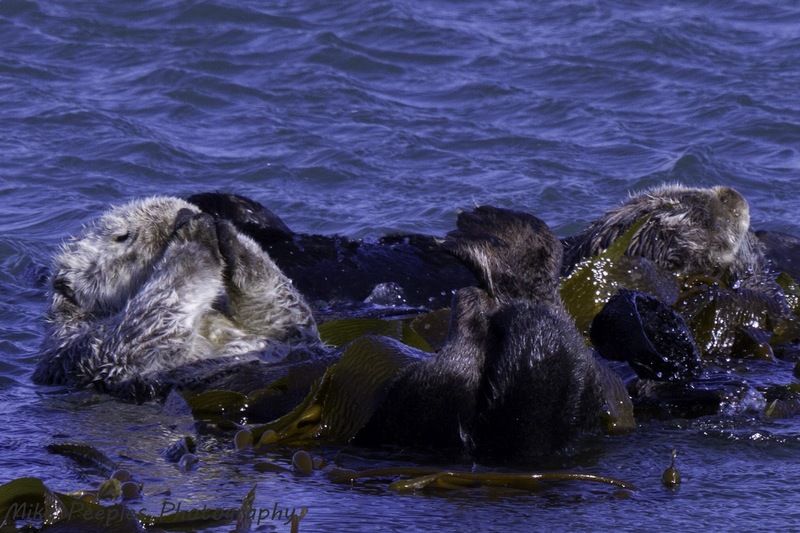 This shot of several otters - it's hard to see them all - was taken hand-held with my new EF 100-400mm f/4.5-5.6L lens. This is nearly a 100% crop and you can see that it is pretty sharp. So, even though the IS system is not the most recent, it did a fine job. I have to raise the ISO and shutter speeds more than I like to maintain sharp IQ, especially on small, long-distance subjects like birds and other wildlife.